John Grisham's The Reckoning is the master storyteller’s most powerful, surprising, and accomplished novel yet. October 1946, Clanton, Mississippi. Pete Banning was Clanton, Mississippi’s favorite son—a decorated World War II hero, the patriarch of a prominent family, a farmer, father, neighbor, and a faithful member of the Methodist church. Then one cool October morning he rose early, drove into town, walked into the church, and calmly shot and killed his pastor and friend, the Reverend Dexter Bell. As if the murder weren’t shocking enough, it was even more baffling that Pete’s only statement about it—to the sheriff, to his lawyers, to the judge, to the jury, and to his family—was: “I have nothing to say.” He was not afraid of death and was willing to take his motive to the grave. In a major novel unlike anything he has written before, John Grisham takes us on an incredible journey, from the Jim Crow South to the jungles of the Philippines during World War II; from an insane asylum filled with secrets to the Clanton courtroom where Pete’s defense attorney tries desperately to save him. 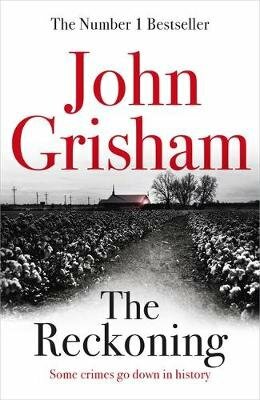 Reminiscent of the finest tradition of Southern Gothic storytelling, The Reckoning would not be complete without Grisham’s signature layers of legal suspense, and he delivers on every page.